Since foaling season has started and we are fortunate to now have live webcams on various broodmares from Foal Patrol and MareStare, this discussion was created for forum members to observe and discuss various issues of birthing as well as mare and foal interactions. 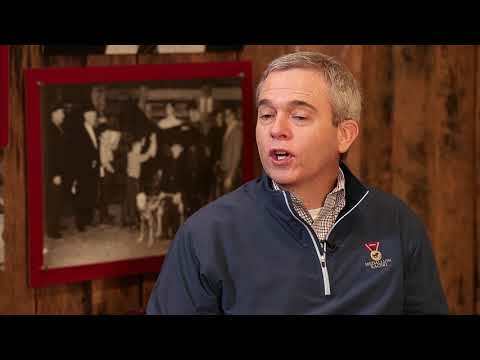 I had posed this video in the Foal Watch 2018 discussion and the discussion about the recent Fasig -Tipton Sale but I figured I would post here as well since the video talks about mares in foal and he procedure about selling newborn foals at the sales. Thanks for starting this thread @Paniolo_Gal -- I know we have tons of threads going, but this is a good one for questions, comments and observations that might get lost in other threads where people may not see them. Thanks @sarinne for this discussion idea! I'm sure this would be a great home for future comments/questions with Centre Court (due 2/19/18), La Verdad (3/15/18) and other expectant mares when they begin to foal along with watching mare & foal interaction that are now under live webcams. Thanks for the heads up @AllZensonTrack. I was watching her cam yesterday and noticed what I thought was the foal kicking and/or contractions but I wasn't sure if it was just the cam or my lapop doing something to make it seem like that. ":StopChargingMaria (Tale Of The Cat x Exotic Bloom, by Montbrook)"
There are observations and comments and explanations in that Discussion. And, that is why there was the need to have a place to continue the exchange. I hope Three Chimneys lets us enjoy watching this pair for a few more weeks." Last night I saw SCM lifting her hind leg and exhibiting some of the behaviors you had talked about. Just an update on Centre Court (who is due February 19th.) Her tail is wrapped and she seems uncomfortable slightly but I see no other signs she'll foal soon as of now. UPDATE! It appears now that she looks to be in labor! UPDATE #2 the cam is now offline. When I came home she had her tail unwrapped so probably a false alarm but we had one mare birth 9 days earlier then expected so maybe tomorrow we will have a beautiful new foal to watch. Sabbatical and her cute 2018 War Front foal (colt) born at Claiborne Farm is also very interesting to watch. btw...Claiborne has an excellent video of Sabbatical delivering her 2018 foal on 1/15/18...Under Videos, entitled "Sabbatical 18" Delivery. A reminder of how dangerous foaling can be! UPDATE on Centre Court (who is due on Monday the 19th.) She looks HUGE and miserable. No signs of being in and/or starting labor soon as far as i can tell though. Happily munching away on her big pile of hay at 4:46 EST on Valentines Day. See under Foal Watch 2018 that Center Court gave birth at 2:50AM today to a big and beautiful Bay Filly with a star blaze and one white sock left fore leg by Medaglia d'Oro. The link to her is in the other thread. DANG! I was REALLY hoping to watch the birth since her original due date was supposed to be my birthday. Aww she is a very sleepy foal. The Vet did and exam while in the foaling stall and off they went back to Center Courts stall. Since we didn't see the first 12 hours of the other foals born I am unsure if this is a concern or just normal foal behavior for a 3 days early foal. Most foals I have had hands on were up and bucking within 5 hours of birth BUT they were also all born on the scheduled day. About 2 hours ago CC literally stepped on CC-18's head while she was flat out sleeping She(filly) bolted upright and was a bit stunned but then she got up on her hind quarters and moved over a bit then flopped back down and back to sleep. Happy early B-Day QZF22. Looks like she is a "Sleep, eats, poops, sleeps, eats" newborn. If she's up she's nursing vigorously and if she's down she's out, seems pretty normal, if not particularly exciting. She's gorgeous! Classic MdO from her head to her blaze to her body. Will not be surprised if this little girl turns out to be something special in a few years. Eh, I'll get flack for this but CC-18 is better looking than Z-17. Z-17 is a beauty in the eyes of the beholder because she's Zenyatta's filly, but she isn't as well put together as CC-18. She looks more like Grandmamma V than Daddy MdO. Much like how CoZ looked like Grandmamma V.
V is the prepotant genetic contributor through Zenyatta. Only the War Front Filly (we never saw enough of the colt to know) expressed a good balance of Zenyatta and War Front. Ziconic is pure Tapit, CoZ was Grandmamma V and Z-17 is Grandmamma V.
Since a lot of us have been on the same page as you regarding Z17, for some time now, I would hope it is ok to express observations without getting flack. But maybe not, who knows. It's easy to love Z17, but doesn't mean, for me anyway, that I have a blind eye. So is this Thread taking the place of the Foal Patrol Thread? I thought QZF22 had created a Foal Patrol Thread, but maybe not. Either way this is a fun Thread. @Especially_Horses -- Paniolo Gal started the thread for all foaling/newborn questions and comments so they wouldn't get caught under a particular mare or stallion thread. Certainly any analysis is welcome about 17Z, etc! I agree that we should all be able to offer opinions without threat of criticism. It always help some of us to learn when @Zenyen and others offer their informed opinions, good and bad, about Zenyatta's foals. And I'm here to learn, that's for sure! Thanks Sarinne. I like this thread for sure. Peeking in and was so sad to hear of Marketing Mix's foal not being able to survive due to issues with her colon and intestinal malformation. I hope Marketing Mix is coping well. As a forum member that has very little knowledge about the breeding protocol with thoroughbreds...would the breeding industry allow, for example Marketing Mix to become a surrogate mom to another TB foal that recently lost it's mother rather then bringing in a nurse mare that would have to give up her own foal? I know it involves circumstantial timing, but more important, the mare's temperament, maternal behavior and how she is handling the loss of her own foal...but can this ever be a possibility among the professional TB breeding farms? Or is this an unspoken "tabu" being the TB mare and TB foal are too valuable to risk the chance. If this has been done in the past with a relatively well known TB broodmare adopting an orphan TB foal...could you give an example? I'm going to take a chance on this one, hoping that one of the people on this forum who work in the business will be able to come along and set us both straight, @Paniolo_Gal . I'm pretty sure I have heard of TB broodmares who lost their foal adopting the foal of another broodmare who died, so I don't think there are any taboos about this practice. Reasons it would be rare include the fact that oftentimes the mares on a farm have different owners, so the owners of both the orphan foal and the bereaved mare would have to agree, and then the timing and disposition would have to match up just right. It would probably also depend on whether the owners of the mare were planning to breed her back right away. Trying to establish a relationship with an orphan foal would be complicated by a trip to the breeding shed, more so than if the foal in question were her own. Those are my best guesses, so hopefully we can hear from someone with real knowledge in this area.